A new tweak is available in Cydia to make jailbroken iPhone 4S cooler and more productive. 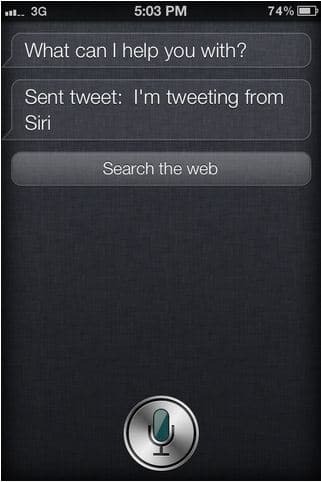 The new Cydia tweak is called Sireet, a tweak that allows iPhone 4S user to post tweet on Twitter using their voice via Siri. The tweak was developed by iOS hacker @tyler_nettleton, a 17-year-old nerd from Florida. The tweak is pretty cool. I tried it my self and it works very well. You won’t have to put any info because Sireet get your Twitter information from the Twitter in iOS 5, it’s very simple to use. Using Sireet, things get posted on Siri after you say the word “tweet” and then say what you want to say and Siri will posted on Twitter. As you may already know, since this is a tweak from Cydia, you will need a jailbroken iPhone 4S to try this. Watch the video below posted by YouTube user iKryptic explaining this tweak and showing it working. You can download Sireet from Cydia by searching on Cydia. It’s free under the BigBoss repo, a Cydia default repo.